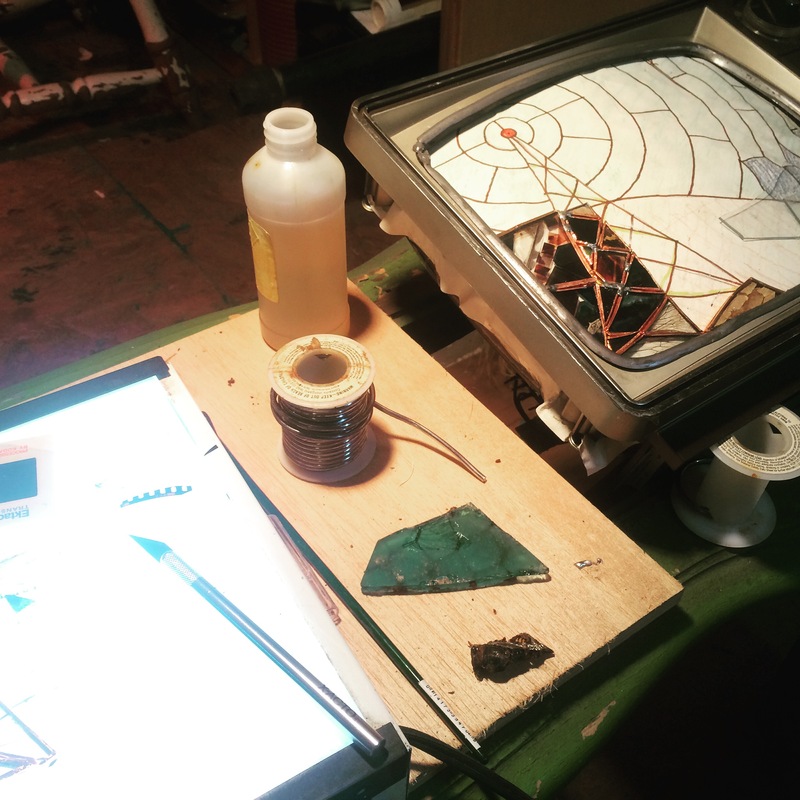 I'm starting a project with stained glass in TV's to explore consumption and media. 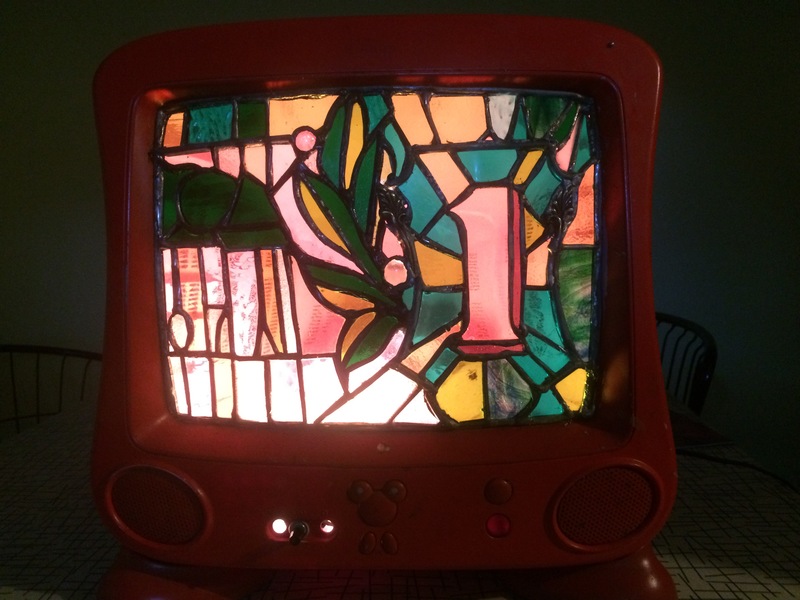 The first one, installed in a mickey mouse TV, is the right hand corner of a dollar bill. 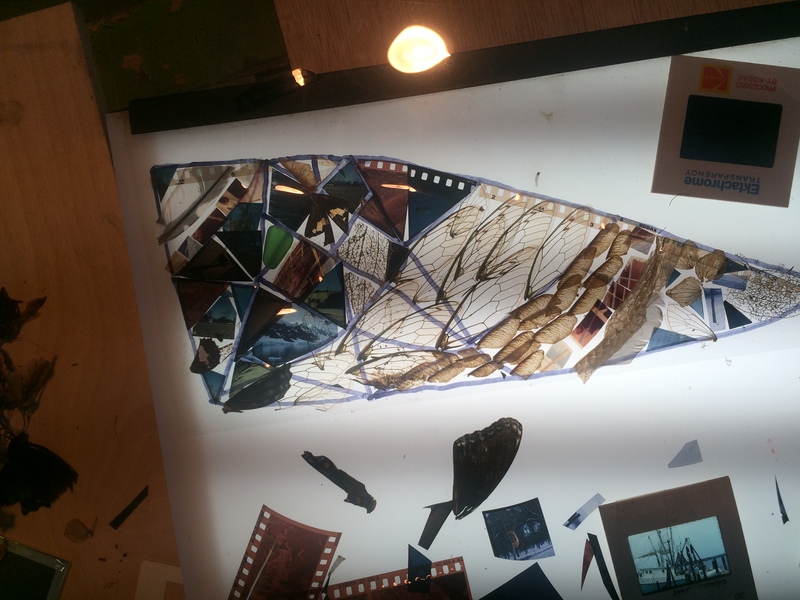 The next one is a collage piece using see-through treasures to build a radio tower.